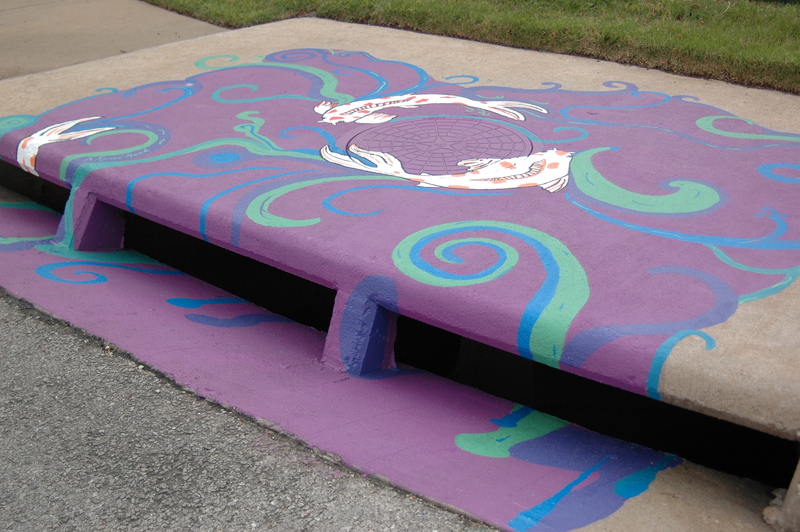 What do these storm drains have in common? They empty into Osage Creek! The water that enters these drains end up in the Illinois River taking with it any pollutants such as grease, oil, sediment, litter, anti-freeze, fertilizer, yard clippings, and pet waste. Use fertilizers sparingly and sweep driveways and sidewalks after application. 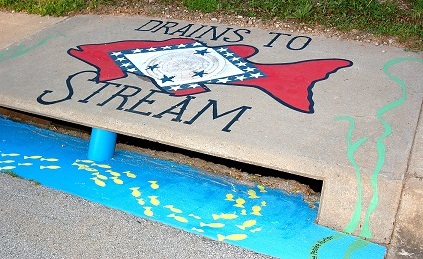 Never dump anything down storm drains or in ditches. Vegetate bare spots in your yard and terrace slopes to minimize erosion. Compost yard waste and sweep grass clippings out of street gutters after mowing. Use integrated pest management practices for controlling pests around your home. If using chemicals, use least toxic pesticides and follow label instructions. Direct downspouts away from paved surfaces; consider using rain barrels or installing a rain garden to capture runoff. Take your car to the car wash where the wastewater is taken to a treatment plant instead of washing your car on a driveway or street. Check your car for leaking fluids and recycle your motor oil. Don’t litter! 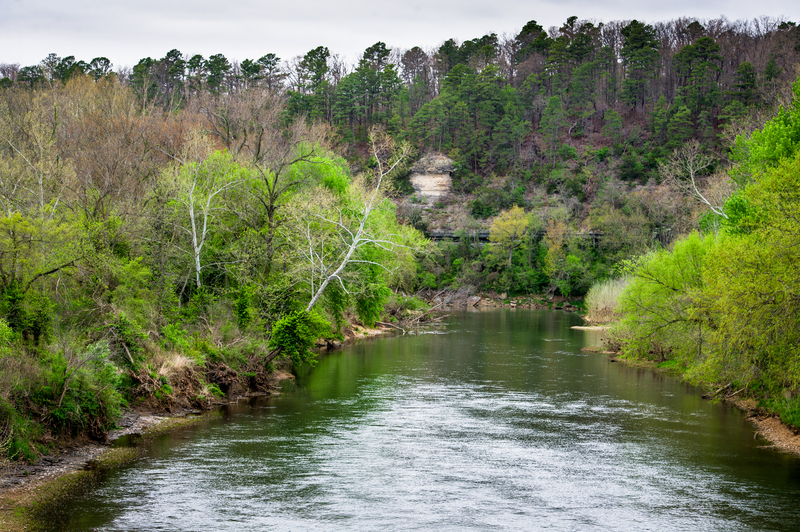 Pick up trash you see on the ground (even if it is not yours) and participate in a creek or watershed clean-up!